We were very lucky to be treated to a puppet show at our kindergarten. An under the sea show for one group and a rainforest show for the other group. 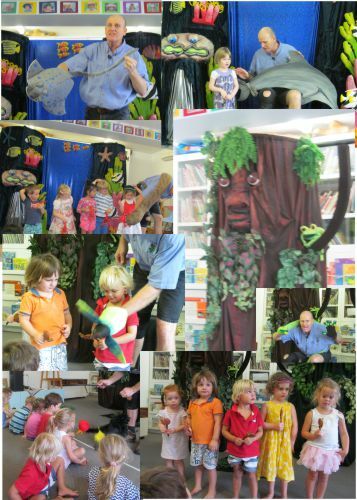 Many amazing animal puppets were introduced to the children. A happy and fun way for the children to learn about their environment.